Boulder boasts more than 300 days of sunshine annually. 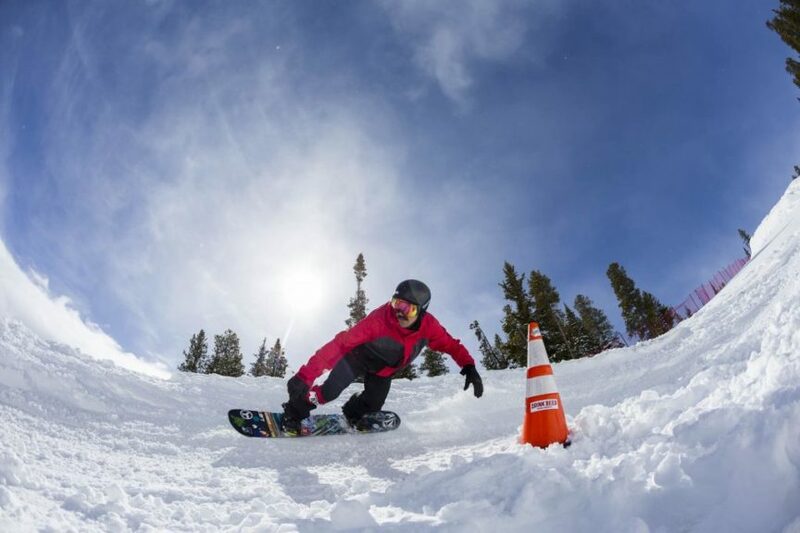 And while Colorado has a reputation for skiing and Boulder is not far from the Eldora ski slopes, it only snows, on average, 35 days a year in Boulder. Winter really isn’t that bad in Boulder, with an annual average of 88 inches of snow. But the winter blues can still strike. While experts don’t know everything about seasonal depression, they believe it’s triggered by reduced sunlight from shortened days that mess up your internal clock. Some people experience the winter blues as a general sadness, listlessness or apathy, feelings that fade as the weather warms back up and the days grow longer. For others, it can be more serious and take the form of a type of depression called seasonal affective disorder, or SAD for short. Symptoms of SAD include feeling hopeless, irritated and worthless. People may have low energy and want to sleep and eat more than usual. Learn more about SAD here. The winter slump is common, and usually it passes on its own. 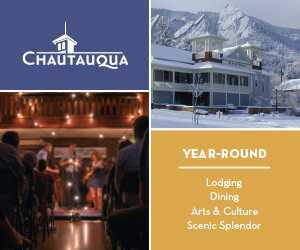 But if you need some help fighting the winter blues in Boulder, here are some of our favorite ways to boost your spirits. The National Institutes of Health has studied the winter blues and SAD for decades and offers some recommendations on how to beat it. A common method is through light therapy using a light box, which works to fill in for the shortened daylight. Light therapy is highly effective; studies show it helps as many as 70 percent of people with SAD after a few weeks, or sooner. What to do: Sit in front of a light box, with extra bright light, for a half hour or longer every day. You can find a basic light box at Walgreens. Boulder has multiple Walgreens locations: 4800 Baseline Road and 3348 N. 28th St.
Light boxes screen out UV rays, according to the Mayo Clinic. 2. Hit the tanning bed. Another way to get some light is by spending some time in a tanning bed. Veranda Sun, 1670 30th St., says “controlled UV exposure” during winter can help fight SAD. The tanning salon cites studies that link low levels of vitamin D and feelings of depression and other mental health issues. The body makes vitamin D when the skin gets sunlight. As Veranda Sun says, the UV light in a tanning bed is the same as summer sunshine and can boost your vitamin D levels. What to do: On those rare days when the sky is overcast, head to a tanning bed at Veranda Sun or one of the other local tanning salons. If you’re feeling depressed, you may need professional help. Visit your doctor for advice. Some people with SAD need antidepressants, therapy or psychotherapy. What to do: Contact your regular doctor. Instead, keep it simple. Go for a walk or hike. Experts recommend exercising outside for 45 minutes every day during the winter months. What to do: Boulder’s Open Space and Mountain Parks manages more than 150 miles of trails, and many are open year-round. Even if you don’t want to go for a hike, simply stroll along the Boulder Creek Path or walk down the Pearl Street Mall. Walk your dog or chase him in the dog park. Go for a run. 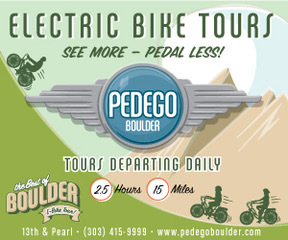 Boulder is super bike-friendly, too. Rent a bike and boost your vitamin D and dopamine through exercise, while giving the environment a break, too. Acupuncturists claim their treatments can help depression. 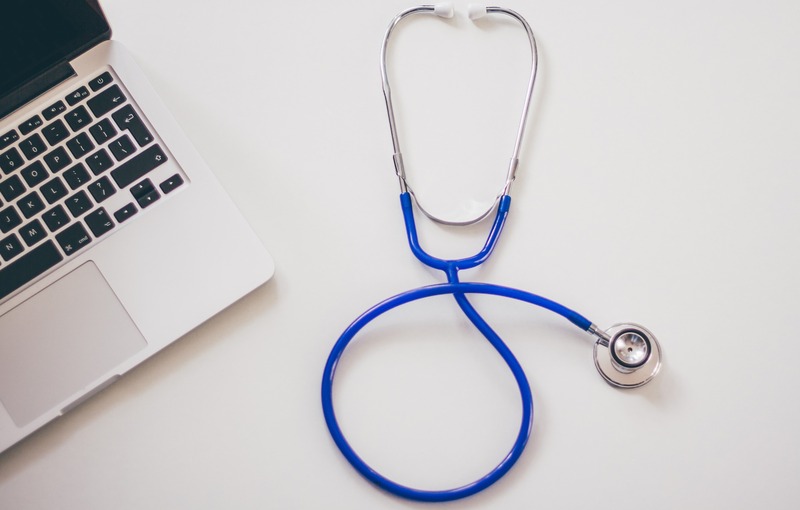 Typically, acupuncture is needed more frequently at the beginning to get things in balance and then you only need to go for maintenance. What to do: Jade Mountain Health is one of the many local acupuncture offices that claims it can treat SAD. The ancient Eastern medicine system, Ayurveda, has its own approaches to dealing with seasonal depression. Actions that may help according to this practice: sunlight, warm food like soup and stew, warming spices, plenty of sleep, gentle exercise. What to do: Visit John Douillard’s LifeSpa in Gunbarrel for help and guidance. Start by reading Douillard’s tips for surviving the holidays (yes, even after the holidays; there are some great tips that you can carry throughout the winter). 7. Watch what you eat. Your food can play a role in your mental health. In the colder months, people tend to eat more refined carbs, which can reduce your energy and focus. Cut back on the processed carbs. It’s not as easy to find fresh, seasonal fruits and veggies in the winter, but make it a priority. If a salad or green smoothie don’t sound appealing, there’s always veggie-packed soup. Fruits and veggies are the key to food-related happiness, according to Medical News Today and research published in the American Journal of Public Health. Produce boosts your mental and physical well-being. What to do: Go out to eat at Black Cat, 1964 13th St., which has its own local farm and uses farm-fresh ingredients. 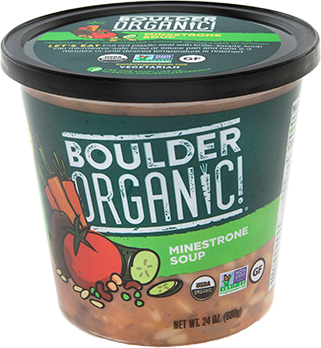 Also, stock up on Boulder Organic soups, like the Autumn Squash Soup, made with butternut squash, pumpkin, carrots, cinnamon spice and cream. There are tons of studies linking mental health and your mood with regular exercise. So even though you might want to just curl up in bed all winter, make it a priority to move your body and get your heart pumping. Your brain will thank you. What to do: If you are short on motivation, hire a once-a-week personal trainer to motivate you through the winter. Trainer Joe Roseberry at Just Results Fitness in Broomfield is known for his high-energy, positive approach that not only will get your body moving, but will also address your mental health. He teaches the “The Key to a More Enjoyable Life From A to Z,” a series of actionable ABCs to get strengthen your mind and spirit. Talk to your doctor and nutritionist about whether you need supplements. Some people benefit from supplemented vitamin D, B vitamins and fish oil to help boost their mood in the winter. What to do: Pharmaca, 1647 Pearl St., is a great resource for vitamins and supplements. You could also check out Rebecca’s Herbal Apothecary and Supply, 1227 Spruce St., for natural treatments and recommendations. 10. Make fun plans with friends or family. Surround yourself with people who make you feel good and plan something to look forward to. What to do: Need inspiration? 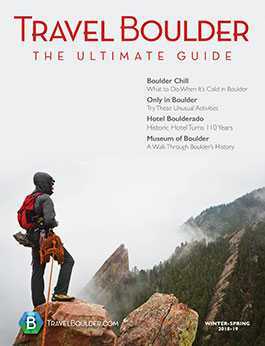 Check out our 2019 Boulder Bucket List and start marking off the activities. Highlights: Do a unique yoga class, take a Gyrotonic class, go out with your dog, get tea at the Dushanbe Tea House. While you may feel tempted to turn into a hermit and hide away, you’ll feel better if you get out of the house, according to Johns Hopkins Medicine. Pick up a new, fun hobby to keep you busy. What to do: Learn to knit at Shuttles, Spindles and Skeins. 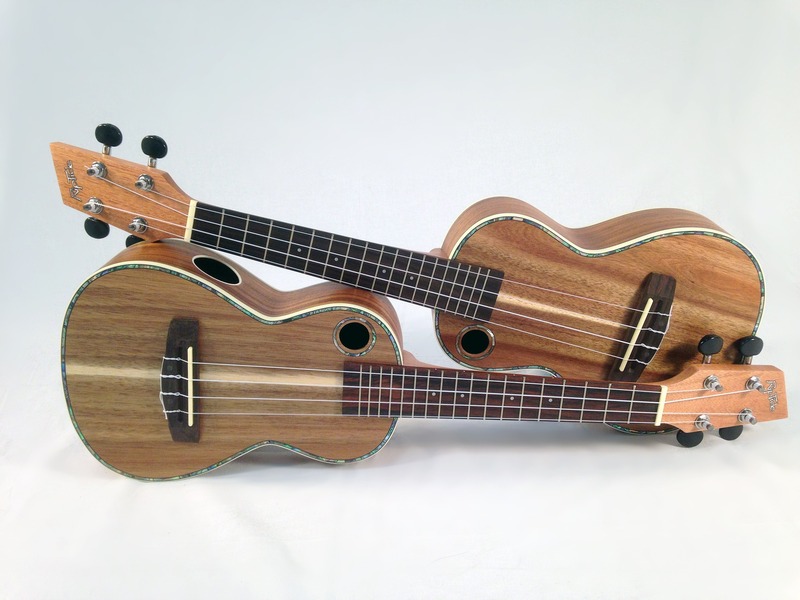 Head to the Longmont Public Library to learn how to play the ukulele; there’s a cool uke club there every second Tuesday of the month from 7-8 p.m. Boulder has its own ukulele group, too. The National Institutes of Health has published multiple studies showing a connection between laughter and mental health. Laughter decreases cortisol and stress, and it can alter dopamine and serotonin activity and secrete endorphins, which can help people in a depressed mood, the NIH says. Laughter is an alternative way to treat stress and depression, and it’s an “effective and scientifically supported” form of therapy, the NIH reports. What to do: Check out the Boulder Comedy Show, the longest-lasting comedy show in Boulder. Catch live stand-up every Sunday at 7 and 9:15 p.m. at the Bohemian Biergarten, 2017 13th St.